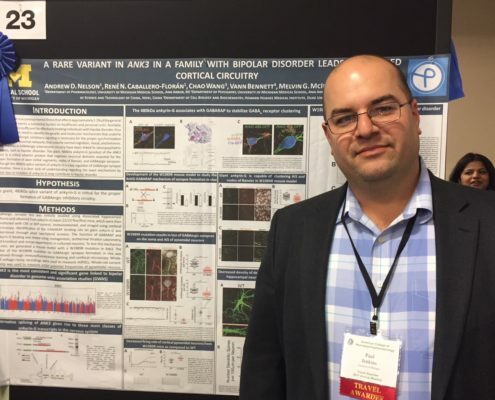 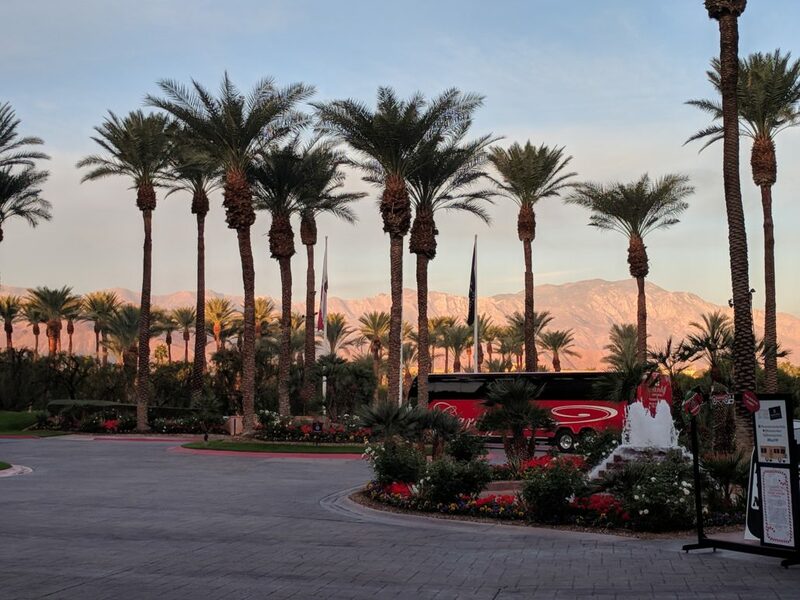 Paul attended the 2017 American College of Neuropsychopharmacology meeting in Palm Springs, CA as a Travel Award winner. 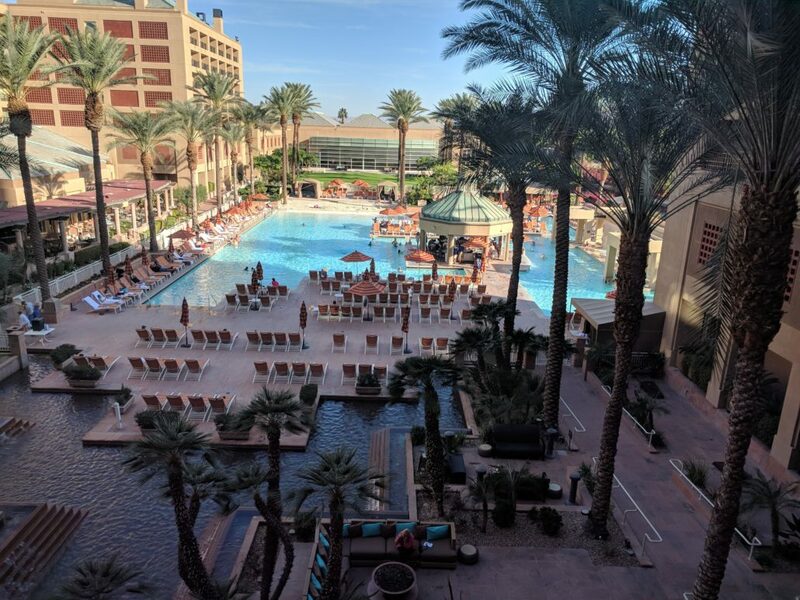 It was a fantastic meeting with a great combination of of basic and clinical science. 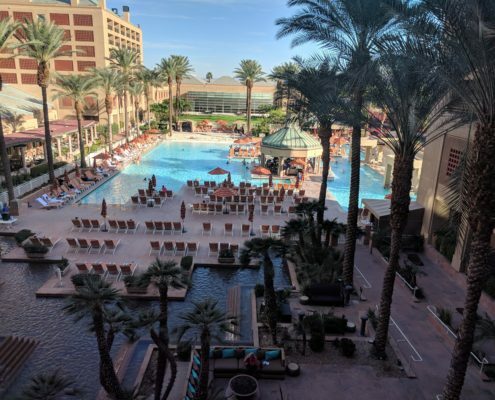 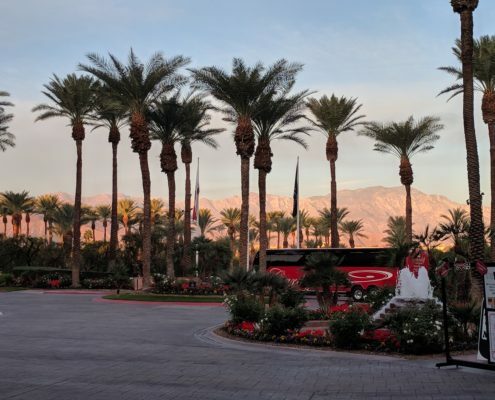 ACNP really does a great job taking care of the travel awardees and the award also gives the opportunity to attend the next four ACNP meetings! 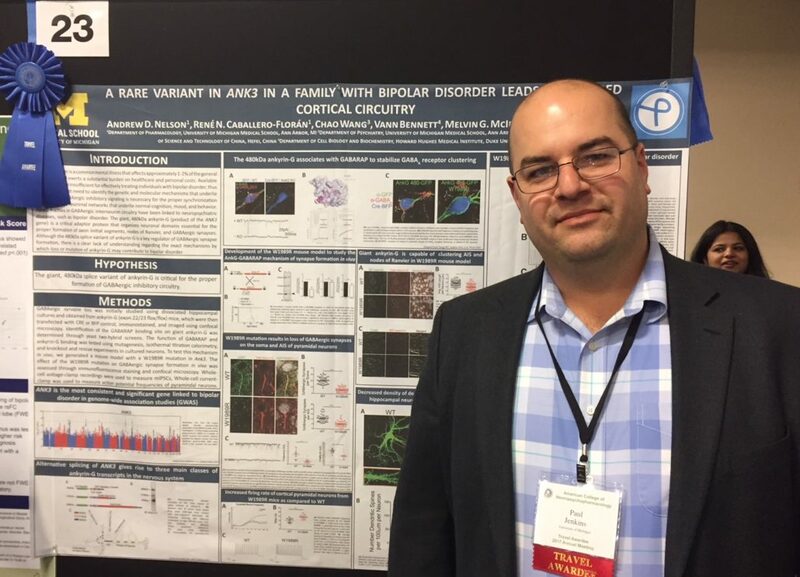 Paul presented a poster and a data blitz on the lab’s work on a rare ANK3 variant from a family with bipolar disorder and its effects on cortical circuits in a mouse model of this particular variant. 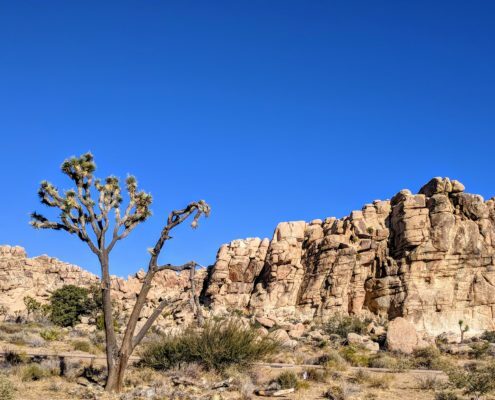 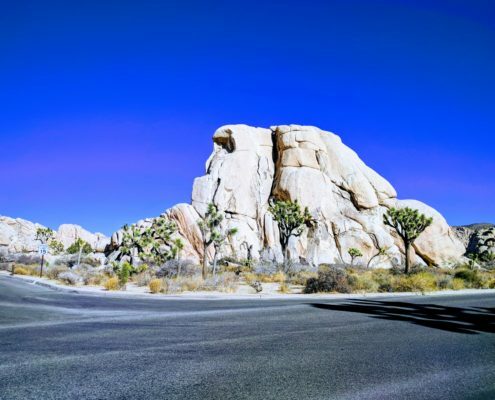 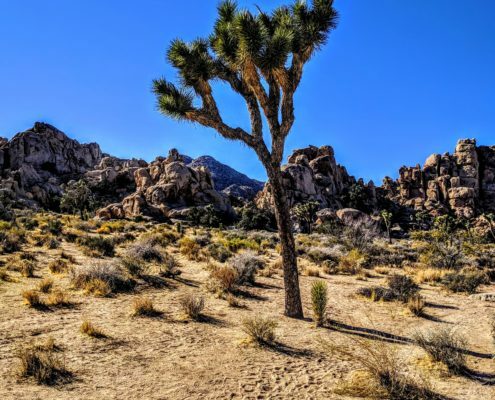 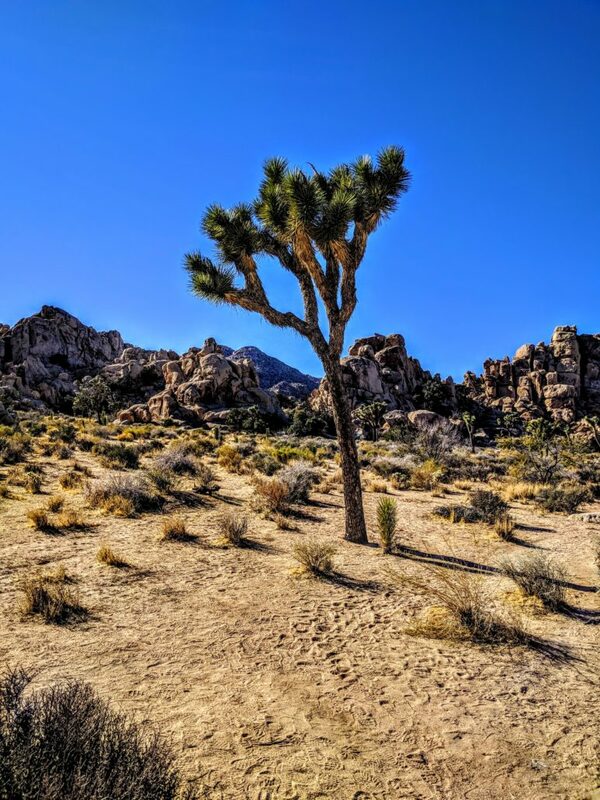 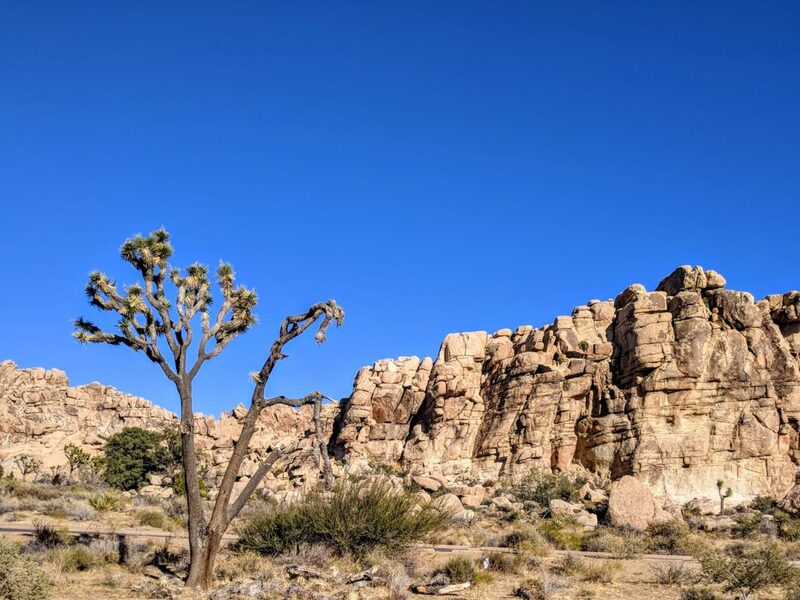 Paul also caught up with Michigan Pharmacology alum Dan Foster, currently a Research Instructor in Jeff Conn’s lab at Vanderbilt, and they ran over to Joshua Tree National Park. 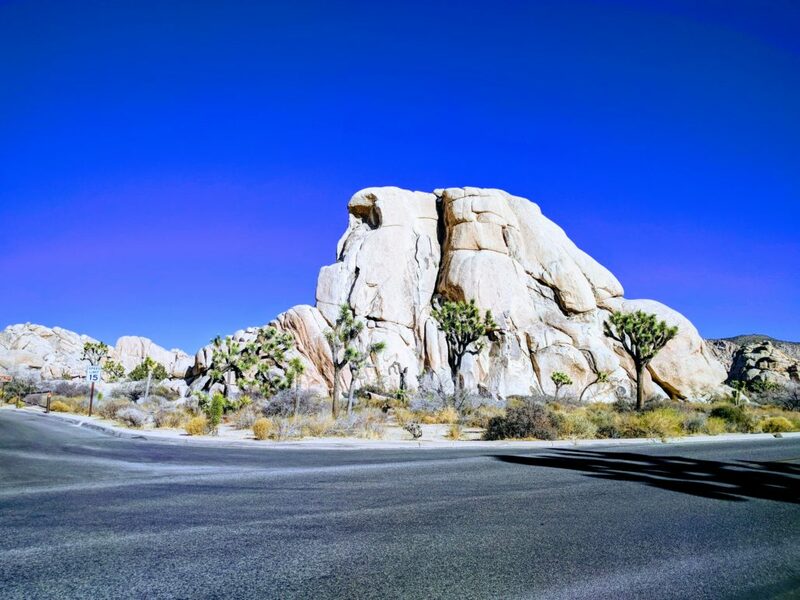 It’s a pretty amazing place that looks like it’s from another world.